If you’re a first-time homebuyer or your previous home purchases were resale homes, you may not understand the timelines involved with purchasing a brand new home. No worries! We’re here to give you the scoop on what to expect and answer the frequently asked question: What is a quick move-in home? Build or move now? You decide. When buyers choose to build from the ground up, they typically have more opportunities to personalize the home. At Richmond American, buyers can select a floor plan and structural options at the Sales Center, as well as fixtures and finishes at our Home Gallery.™ The timelines for completion can vary by floor plan, climate and region. Sound like the ideal scenario? We think so! But not everyone wants to wait. Many buyers want to move sooner—maybe even right away—even if that means fewer choices. Quick move-in homes are the answer! 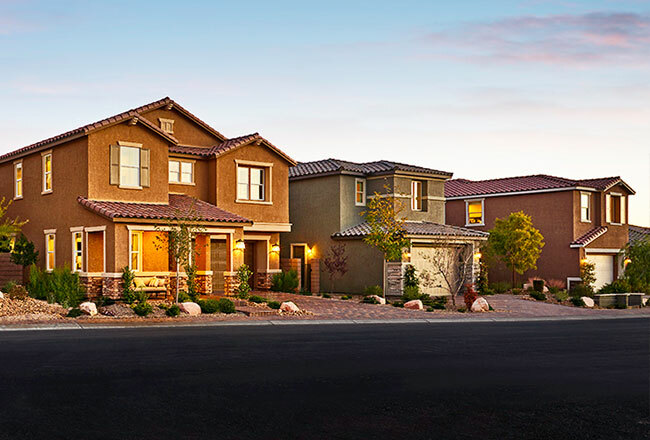 As builders, we often start building homes at a new community, even before anyone has purchased there. Sometimes we’re building model homes so buyers can get an in-person glimpse at what their home will look like inside. Other times, we start construction on homes without a specific buyer in mind. These homes are sometimes referred to as inventory homes, spec homes or move-in ready homes, but at Richmond American, we most often call them quick move-in homes. This is because the move-in date is typically quicker for customers since we begin building before the contract is signed. This benefit is the most obvious. You can buy a brand new home and skip at least part of the construction process! The sooner you close on your home, the less chance the interest rate has to fluctuate before you get to the closing table. If you do choose to build from the ground up, be sure to ask about interest rate lock options if rates are on the rise. If your quick move-in home happens to be a model home, you’ll enjoy beautiful design-selected upgrades. Your community is also likely near closeout, which may mean less construction in the area in general.